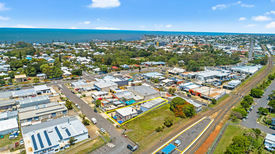 65 Commercial Real Estate & Properties in Wynnum are listed in 7 categories. We have 28 Retail ShopsSale & Lease , 22 OfficesSale & Lease , 10 Industrial Warehouses Sale & Lease , 2 Other Commercial PropertiesSale & Lease , 2 Medical and Consulting PropertiesSale & Lease and 1 Development LandsSale & Lease . 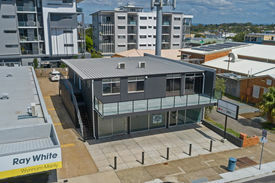 Situated in the heart of Wynnum this high profile centre is now under new management and seeking tenants to assist in the revitalisation of the area. 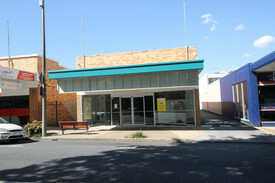 Renovations will be undertaken as part of the revitalisation of the centre. This is your opportunity to secure spaces from 49sqm 470sqm on either the street front facing Bay Terrace or within the internal mall. Suitable for a variety of different uses which could include Retail, Medical, Food Beverage, Government Services Office Space. Features of the centre include: bull; 198 car parks, underground secure and roof top parking with escalator access. bull; 15km from Brisbane CBD (as the crow flies), 6.5km to Gateway Motorway, 2km to Manly Harbour and only 400 m from Wynnum Central Train Station bull; 500+ new apartments currently under construction in the neighbouring vicinity We have recently welcomed one of the newest tenants ANYTIME FITNESS and have many more exciting business coming to the centre in the near future. Approx. Affordable leasing rates and incentives on offer, for further information please contact marketing agents. A number of large or small retail and office tenancies are on offer. We can create tenancy sizes from 70 m2 to 370 m2. The configuration can suit your ideal tenancy layout. We are happy to look at options. 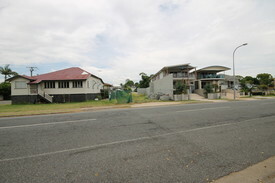 The main streets of Wynnum surround this location Bay Terrace to the East, Tingal Road to the West, Florence street to the North and Clara Street to the South and this makes the Retailers and Traders established here good company for your business. 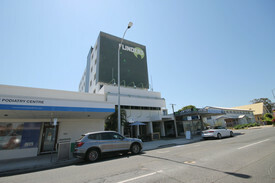 The location is close to a very busy Coles Supermarket as well as other established business operations within the main street. Property also features: Air conditioning throughout. Bathroom and kitchen facilities. Back of shop loading dock. Staff parking at rear. For more information or to book an inspection please contact Alan Simms on 0407 257 862. 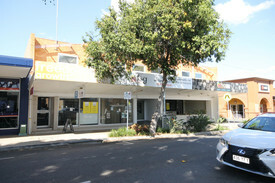 Ray White Commercial (QLD) are please to exclusively offer 121 Bay Terrace, Wynnum QLD for lease. 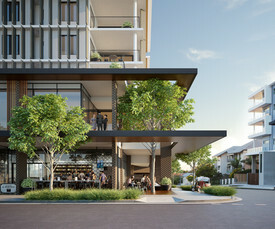 Offering 398m2 of prime retail space with the opportunity for great signage and exposure, 121 Bay Terrace is perfectly positioned to capitalising on the main thoroughfare of Bay Terrace. 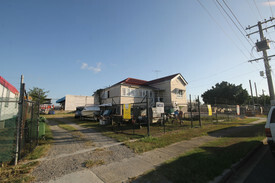 Location is paramount being walking distance to the water and all other amenities. On offer: bull; 398m2 of retail space with mezzanine level and amenities area including his and her bathrooms bull; Fully Air Conditioned bull; 10m2 shop frontage with great signage opportunity bull; Rear access for deliveries bull; Close proximity to the bay and all amenities bull; Motivated owner GROSS RENTAL PCM $8,333 PCM + GST Approximately All rentals quoted are exclusive of GST tenant to pay water charges As the exclusive marketing agent we look forward to assisting you. 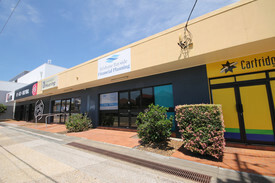 Ray White Commercial (QLD) are please to exclusively offer 111 Bay Terrace, Wynnum QLD for lease. 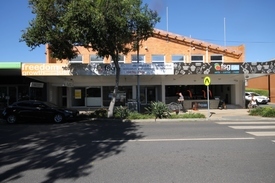 This offering represents the opportunity to lease a large high exposure retail or office located in Wynnum's main shopping thoroughfare. Surrounded by well established business's including retail, restaurants and cafe's this location is a great opportunity to utilise the space on offer. Location is paramount being walking distance to the water and all other amenities. 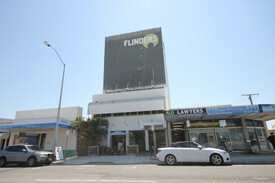 On offer: bull; 223 m2 of Ground Floor retail, showroom or office space bull; Fully ducted A/C bull; Great shop frontage bull; Close proximity to the bay and all amenities bull; Motivated owner NET RENTAL PCM $5,000 Approximately All rentals quoted are exclusive of outgoings GST As the exclusive marketing agent we look forward to assisting you.